Connie Perdreau, director of the Haggerty English Language Program, was recently recognized for her outstanding contributions to the field of international education with NAFSA Life Membership at the organization’s 66th annual conference. NAFSA: Association of International Educators is a non-profit professional organization for industry leaders encompassing education abroad advising and administration, international student recruitment, service, English as a Second Language (ESL) teaching and administration, as well as scholarship and research related to the field. 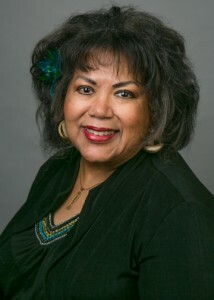 Among her many achievements in the field, Perdreau served as the NAFSA President in 1996-97, and she is the first African-American to hold this position. A Mid-Hudson Valley native, Perdreau began her lifelong passion for and commitment to international education as a SUNY Potsdam study abroad student in Tours, France, where she spent her junior year. After earning her bachelor’s degree in French education, she taught junior high school in Yonkers, N.Y. Her career path then took her to Ohio University, where she served as a faculty member and administrator for the Ohio Program of Intensive English for three decades, and completed master’s degrees in both French literature and linguistics with a specialization in teaching English as a foreign language. From 1987 onward, Perdreau also served as director of education abroad at Ohio. During her 23-year tenure in this role, study abroad participation increased fivefold from less than 200 students to more than 1,000 students per year. Upon her retirement from Ohio University, she returned to her hometown of Beacon, N.Y. and joined the Center for International Programs at SUNY New Paltz, initially in study abroad and then as director of the Haggerty English Language Program. Since 1977, Perdreau has written/delivered more than 100 publications/presentations. Her leadership roles in international education have also included serving as president of Ohio TESOL and chair of the Administrators and Teachers in English as a Second Language and committee membership on the TOEFL Board, the National Strategic Task Force for Study Abroad, and the Fulbright Enrichment Program Committee. Perdreau ’s numerous accomplishments have caught the attention of the press, and she has been featured in pieces published by Ebony, Jet, and Diverse Issues in Higher Education. Her achievements in international education have also received recognition in the 2013 edition of Black Firsts: 4,000 Ground-Breaking and Pioneering Historical Events. In addition, Senator Malcolm Smith introduced a proclamation honoring Perdreau for Exemplary Service in International Education from the New York State Senate, which passed on October 23, 2009.